Read the book by the same Title “ The Rule of 3” - the book is written by world renowned powerlifter Louie Simmons. Louie Simmons implements a “Conjugate” system in his training of powerlifters and athletes. 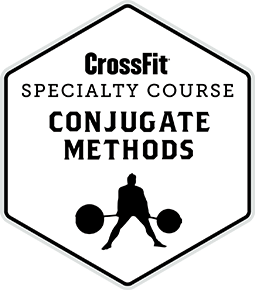 “Conjugate” in this use describes the constant rotation of exercises, modalities etc so that there is no adaptation to the same sets/rep schemes/equipment etc. The book discusses how to start children with training so that they have success. If there could be mandatory reading for parents to train children I would start here or with another book Louie cites “Children and Sports Training: How your Future Champions Should Exercise to Be Healthy, Fit and Happy” (look for a future post on this in the future). The reason I suggest parents read this book is that the book describes a process(system) in which your child can have the most success in athletics. Not every kid is athletic and not every boy is going to play football or basketball and not every girl is going to play soccer or softball. But if parents could analysis what sport their child would have success in - this is going to lead to the child having more fun playing sports. Everyone wants to do things they are good at - it is a lot harder to have fun doing something that your not great at. I see a lot of parents trying to make the next Tiger Woods instead of building a huge base of GPP so that when you kids tells you they no longer enjoy golf, they are capable of transitioning into the next sport. Remember back when you were a child, one day you wanted to be a baseball player, the next a football player, and then a basketball play, basically changing with the season of the sport that was getting played. This is natural. I have trained several kids since they were in 6th grade. The parents came in wanting to have the kid do “Sport Specific” exercises. I told them that I would make the kid better at the given sport but it would be less than “Specific”. They are hesitant - just because the parents are programmed to believe that the “Sport Specific” is what their child needs. Those parents who I do convince - end up seeing a well rounded child with a super high level of General Physical Preparedness and when that child tries volleyball out for the first time they get compliments about how good their child is “naturally” at the sport when in fact the child just has a huge base and doesn’t have “sport specific” injuries. The kids that I have trained since 6th grade lots and lots of success in high school and quite a few in college participating in high level athletics. The desire should be to have every child be successful with athletics and I believe you can do this by helping them figure out what their natural tendencies are - then figure out what sport aligns with those skill sets. If your training is well rounded you are getting better at your sport year round while also increasing strength and physical capacity. The images from my post originally on my instagram are below as a few important comments there and on my personal Facebook. @OC - I did the best I could to organize the comments in order from the social media posts - at least enough for all of you to get the general idea. 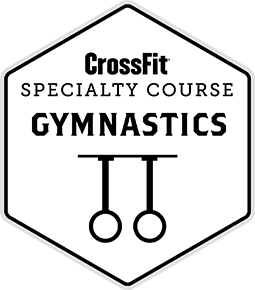 Committed to showing everyone a better path for training success.